I love tea……hot or cold, as long as it is high quality tea then I am a happy woman! Therefore, I was very excited to discover the Sweet Tea Junkie which has a huge selection of handcrafted teas available purchase online. What this Florida native finds so unique about the Sweet Tea Junkie is that they specialize in teas that can be enjoyed over ice. That is something that we take very seriously in the South and the Sweet Tea Junkie really hits the mark with its delicious tea! It was very easy to brew these teas as I simply heated a kettle of boiling water and then steeped the teas as noted on the package. One of my favorite tea accessories to make brewing loose tea so easy are the Loose Leaf Tea Filters ($6.95 for a 100 pack). Simply fill the pouch with loose tea and close it up and start steeping. What makes these the perfect filter bags is that it preserves the flavor of the tea without using harsh chemicals in the material and it is chlorine-free and glue-less (like other brand filters). The Black Tea suggested to brew it for 4-5 minutes and I found it perfect at 4 minutes. I then allowed it to cool, added Stevia for myself and a bit of honey for my husband and children. Served over ice with a bit of organic mint from our garden and/or a squeeze of fresh lemon and iced tea doesn’t get much better tasting in my opinion…..absolutely delicious! My favorite of the four teas that I sampled from the Sweet Tea Junkie is the Pomegranate Green Tea ($14.95 for a ¼ pound which brews 4 gallons) which has a wonderful tart fruit taste from the pomegranate and the bold yet smooth taste of green tea. This tea is not bitter at all as I have experienced from other inferior brands of green tea and it was so refreshing. Even my husband who normally does not like green tea thought it was wonderful. The Mango Black Tea ($14.95) is the perfect iced tea that we enjoyed sipping while floating around the pool all afternoon. It is sweet, fruity and rich tasting. I was pleasantly surprised to see real chunks of dried mango in this blend and could definitely smell the essence of real mango which makes this tea extra special for me as mango is one of my favorite fruits. 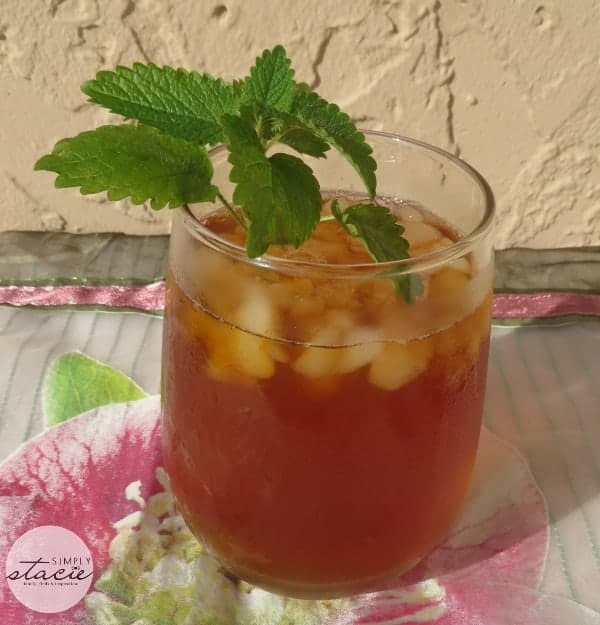 This is the perfect iced tea for summer barbecues or gatherings! The Handcrafted Organic Green Tea ($14.95) is a bold, delicious Gunpowder Green tea which is sure to appeal to green tea enthusiasts. It is so smooth and delicious and I thought it was awesome to watch the loose tea leaves opening up when added to the water to steep. This could possibly be the best green tea that I have personally ever tasted….it is that good! I am very pleased with the quality of the teas and attractive pricing at the Sweet Tea Junkie! I will definitely be purchasing additional teas to try from this company and can’t wait to try the Oolong Tropicale. Another thing worth mentioning is that this company also has a fabulous selection of fabulous, unique “tea” shirts which would be a perfect gift idea for someone who loves teas. You are invited to visit the Sweet Tea Junkie to browse all of the teas and purchase your favorites. If you just can’t decide on one then you should check out the Handcrafted Teas Samplers! I would like to try the organic green tea. I am just starting to really like green teas and would love to find one that is all organic! I love tea, it is a toss up between the Handcrafted Mango Black Tea and the Chocolate mint tea. The Handcrafted Pomegranate Green Tea is a tea I’d love to try. Combining the health benefits from green tea and pomegranates is a winning combination. I would love to try this Chocolate & Mint Black Tea from Sweet Tea Junkie, they all sound great except mango which I am allergic too ugh. i love the sweet tea college shirt. I’d love to try the Organic Decaf Black Tea. I would like to try the Handcrafted Black Tea. The Black mango sounds devine!!! would love to serve it at my wedding this summer!!! The Handcrafted Pomegranate Green Tea sounds wonderful. Trying to get more green tea in my diet. i’d like to try the mango black tea. I also like the sweet tea decal and welcome to the south decal. Mmmm chocolate and mint tea sounds delish:) I also love pomegranates so the green tea with that would be tasty too! Would love to try the Mango Black Tea – sounds delicious! I would like to try the pink your own tea sampler. Also, the Pomagranate Green Tea sounds Yummy. I love tea and drink it every day. The chocolate and mint black tea sounds amazing, I would love to try it. I’d love to try the chocolate & mint black tea. Yum! I’d love to try the CHAI ROOIBOS HERBAL TEA. All their teas sound delish…the Oolong Tropicale sounded interesting! I want to try the Pomegranate Green Tea. 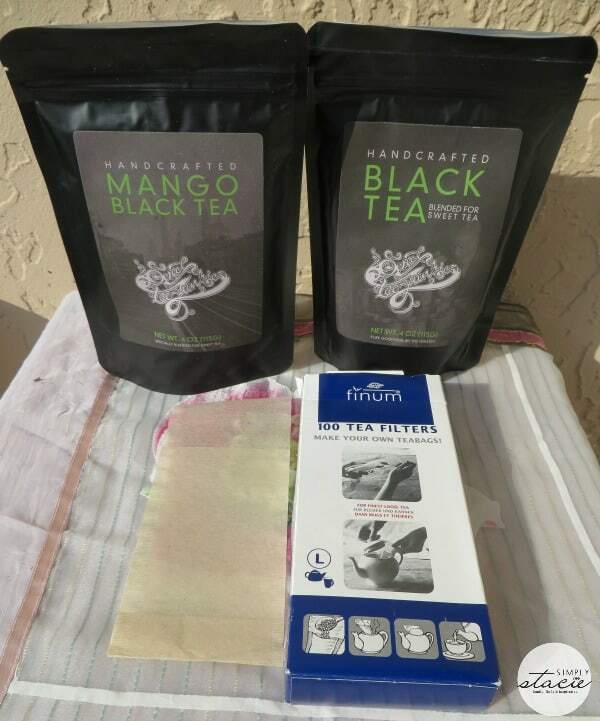 Mango black tea sounds absolutely delicious! I would like to try the Oolong Tropicale Tea! I’m a daily tea drinker, so I’m hoping to win. I’d like to try the Handcrafted Organic Green Tea.